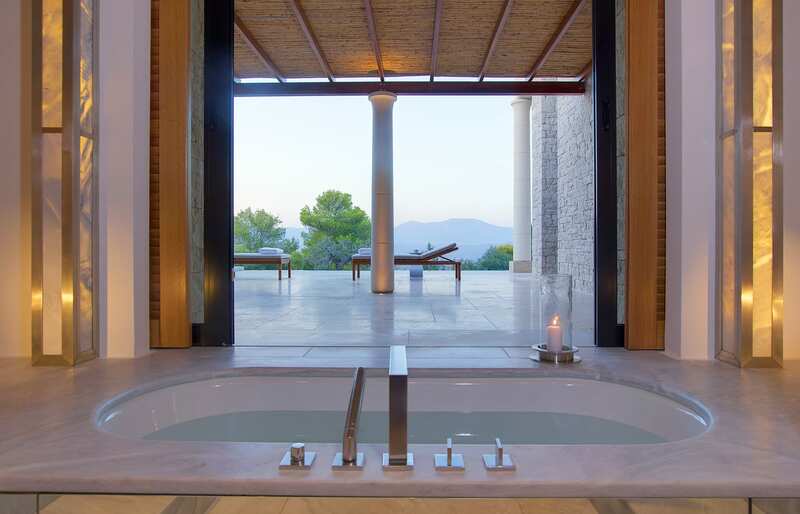 The brilliant white of the Amanzoe architecture pierces the crisp, clear air of the coastal Greece with freshness and intensity only possible in the scorching Mediterranean sun. It seems slightly unreal—almost as if one of the palaces of the Olympus gods made a sudden appearance in the 21st century. 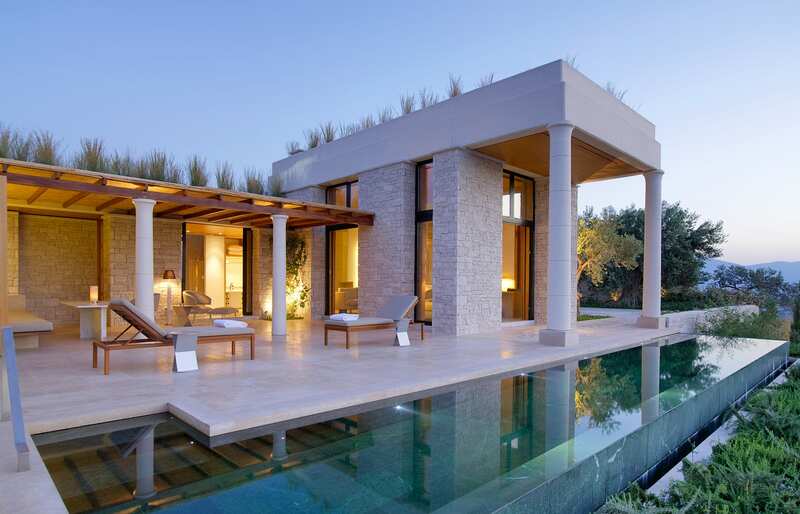 Amanzoe is, in a sense, a destination in itself. Unless you arrive directly to the resort’s helipad (30 minutes by the private copter), it’s a whole journey to get here—the drive from Athens is not short. The resort is isolated. And while there is plenty to see and experience in the area (e.g. the island of Hydra is a lovely place to visit), the isolation is the whole point. At least, that’s what we wanted from the stay at Amanzoe. 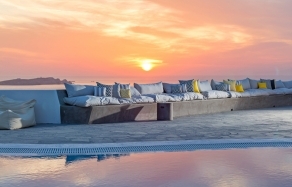 Sprawling across dreamy hilltops, this fantastic property from our favourite hotel chain is one of those places well set up for enjoying time off from the everyday, worldly concerns. 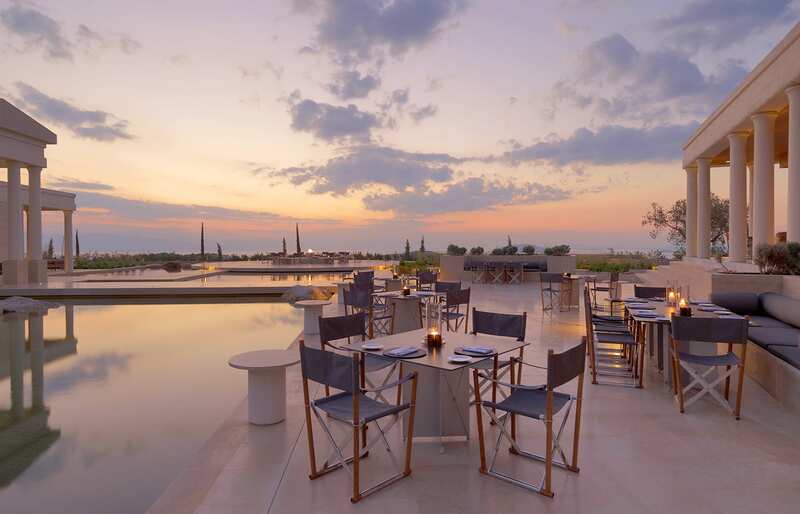 Amanzoe’s sophisticated style and atmosphere, and the high level of service from the well-trained staff all inspire thoughts about fantasy visions from the Odyssey. And the resort’s location and its architecture borrow from the Doric templates directly. 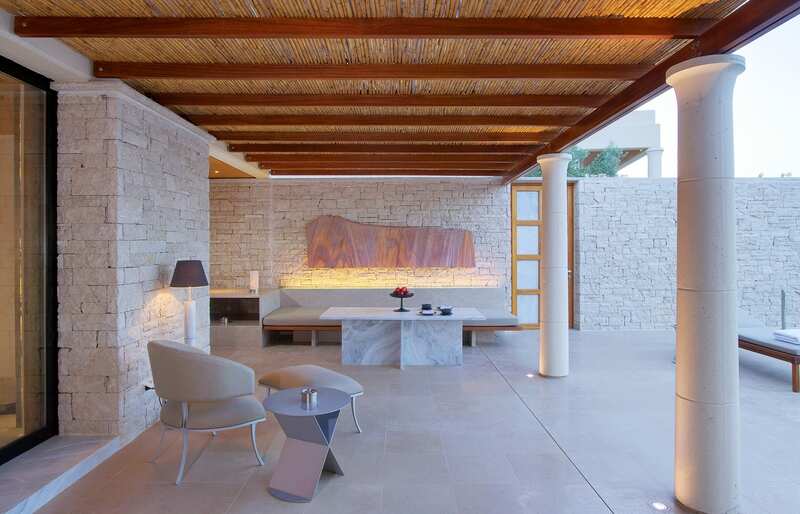 Responsible for the concept of Amanzoe is one of the Aman Resorts favourite architects, Ed Tuttle. His relationship with Aman started from their very first resort (Amankila and Amanbagh, reviewed by us, are also his). 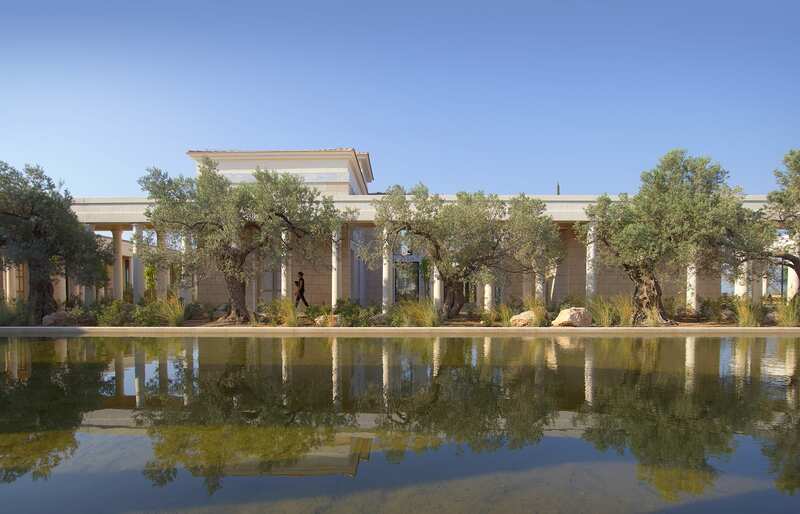 Tuttle imagined Amanzoe as a hilltop “acropolis” of white buildings surrounded by gardens and pools. 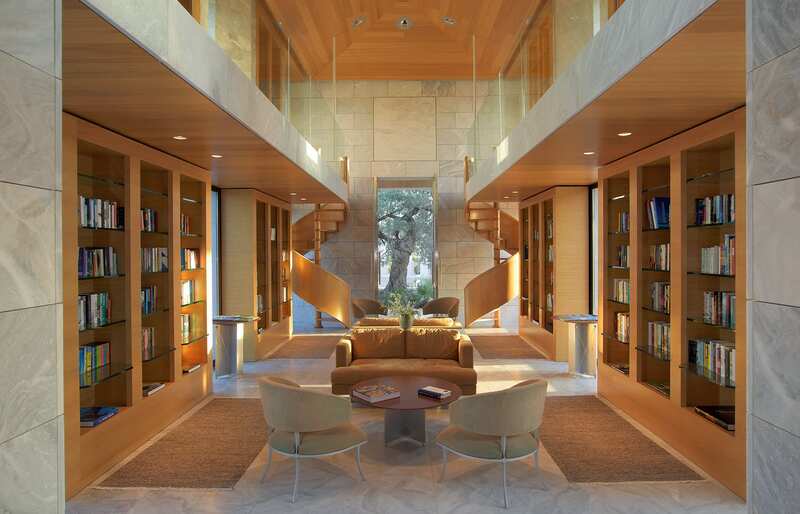 The structures unabashedly evoke Parthenon and other classic creations. There is even a proper amphitheatre, even if updated to fit the contemporary minimalistic aesthetics. The resort’s other facilities and luxuries are also, of course, thoroughly modern. Surrounding the main resort buildings, the guest pavilions and villas are conceived as hillside stone houses. 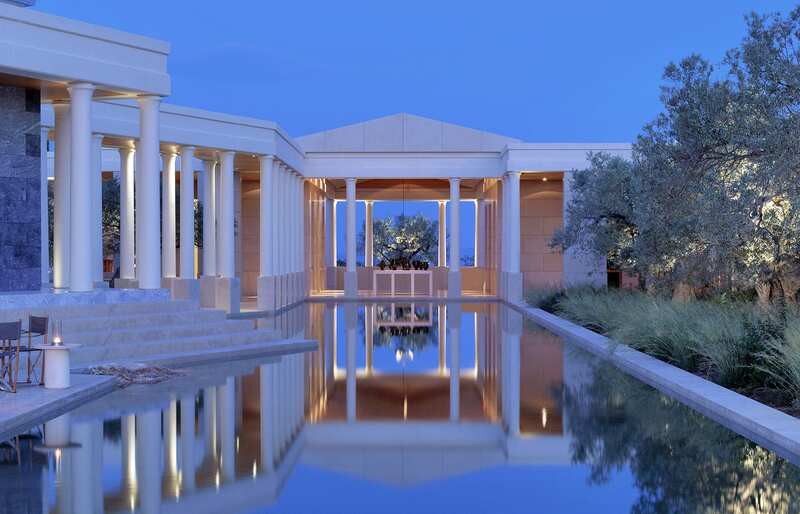 Again, they carry a hint of the classic portico—and are adorned by lavender, rosemary and other fragrant Mediterranean shrubs on their flat roofs and around. The pavilions are spacious and well designed, with the beautiful, comfortable bedroom, astonishing bathroom area and lovely patio, perfectly suited to lounge in the sun or dine. Designed in an overall neutral palette, the theme is subtly altered here and there with the addition of rich textures and materials. For the absolutely best in the resort luxury pick from among the villas. Nothing compares to their massive amounts of space, the glamour of infinity pools… We are pretty sure they would render Croesus green with envy. Even the most discerning Aman Junkies should find the service matching the highest Aman standards. Our transfer from the airport was limousine style—super comfy, and with Wifi on board (priorities!). Our arrival—in some ungodly hour of well past midnight—perfectly organised, with a personal note from the night manager and some carefully-prepared snacks and sandwiches ready in the suite, just in case we felt like nibbling, at 3AM. The good impressions continued throughout the stay, with no hiccups, while a high level of training was evident in every member of staff. The restaurant personnel remembered our French-Press coffee addiction after the first breakfast. Small things, we know. But still. The only bad thing was waking up. Umm, we meant leaving. 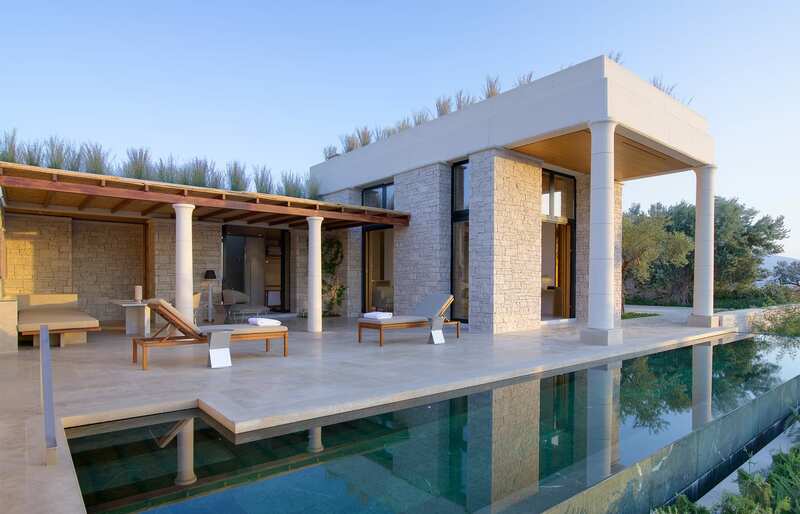 Among the almost dozen of Aman properties we stayed at, Amanzoe certainly should occupy some position close to the top. 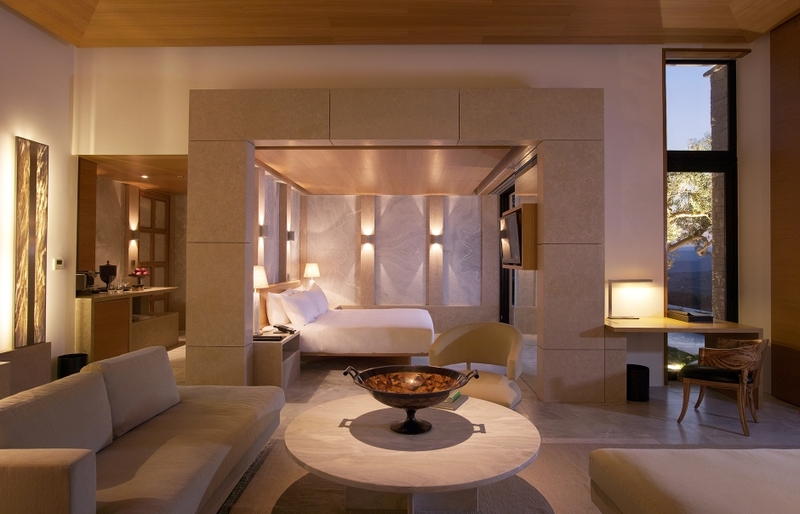 With superb service and beautiful location, this resort checks off all the boxes for the model ultra-luxury resort. We award it our rare Editor's Pick badge. It well deserves it. Location. 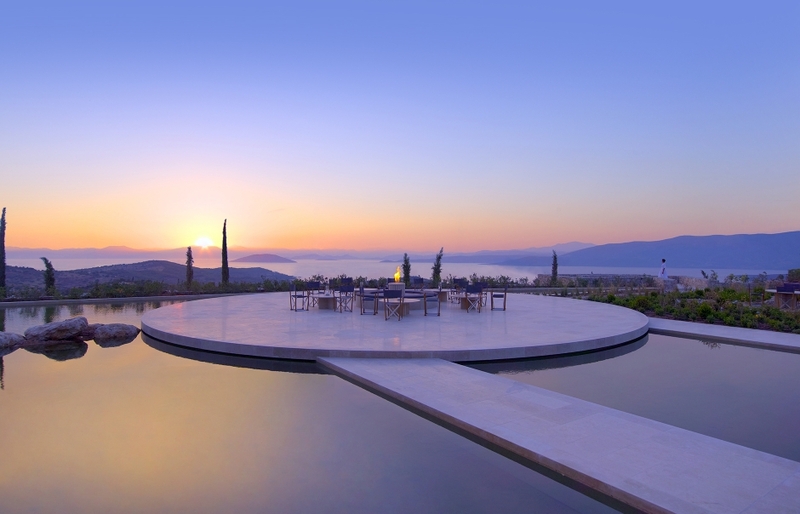 Set up on gentle coastline hills, Amanzoe commands an extraordinarily beautiful view of the Aegean Sea and countryside dotted with olive groves. The common areas of the resort are absolutely fabulous and designed with a great sense of space and location. The gardens include a circular platform around the gas fireplace. It's a focal point of the resort and the perfect place from which to enjoy the spectacle of the Mediterranean sunset. "Classically inspired and contemporary in attitude". The guest villas and pavilions—one of which was ours for the precious few days—are truly beautiful. Even the entry-level have a comfortable layout, with double bathrooms and a wonderful outside area that enjoys plenty of space to sun lounge or dine. Glass doors slide away into recesses to connect indoor and outdoor living. Only because of their sheer size the villas outshine the "regular" guest pavilions. 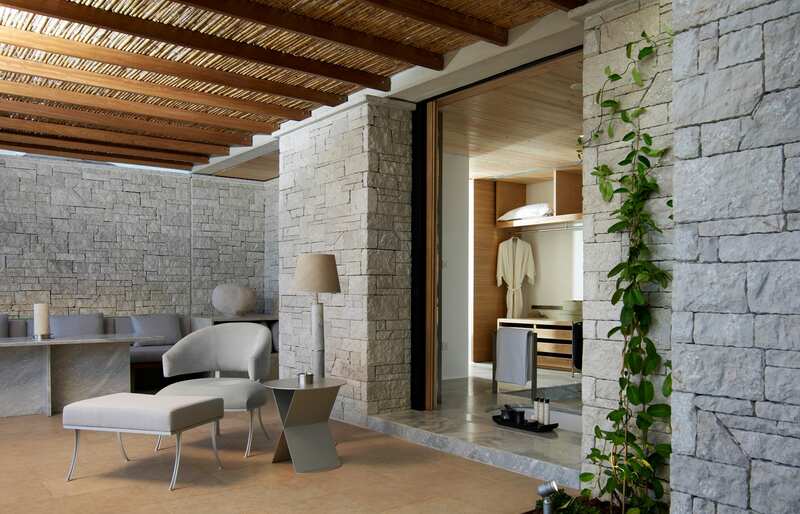 The 4-6 bedroom villas are simply stunning. Their ultra-luxurious design and layout is a testament to a "no expense spared" attitude (and explains the €100M construction bill). It's a great choice for groups or families. Also, the villas come with a private chef! Fantastic level of service, throughout our stay, in every moment. The famous invisible Aman room service is exemplary: they always know when you are out and would swoop in to do a full cleanup or just a quick tidy-up. Food. The uncomplicated but delicious Mediterranean cuisine emphasises local recipes. Beach club, set up in a secluded bay, with a restaurant, four swimming pools surrounded by decking and sun loungers. Watersports activities are available—including the use of the unique custom-made luxury powerboats. The resort is fully equipped. The facilities include two tennis courts, gym, Pilates studio, yoga pavilion, swimming pools, Beach Club, even a classic amphitheatre. Two Pool Pavilions are prepared for wheelchair use. Also, all public areas are fully accessible. The hotel is closed in winter months—and in the edge months the evenings can feel rather cold. 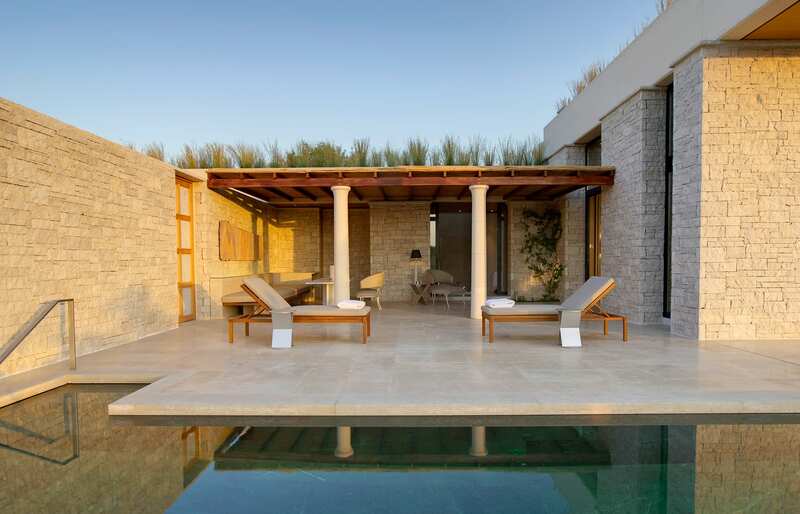 This is a true hilltop property, and the autumn wind in Greece can be unforgiving. Some villas (especially villas with lower numbers) on the valley side are overlooked from the gym and children’s pool, keep in mind if privacy is your priority. It didn't bother us too much, but be prepared the private pools in the entry-category guest pavilions are a bit small. The water has regulated temperature though and the pool's setting is lovely—we adored the use of rosemary and lavender all around it. 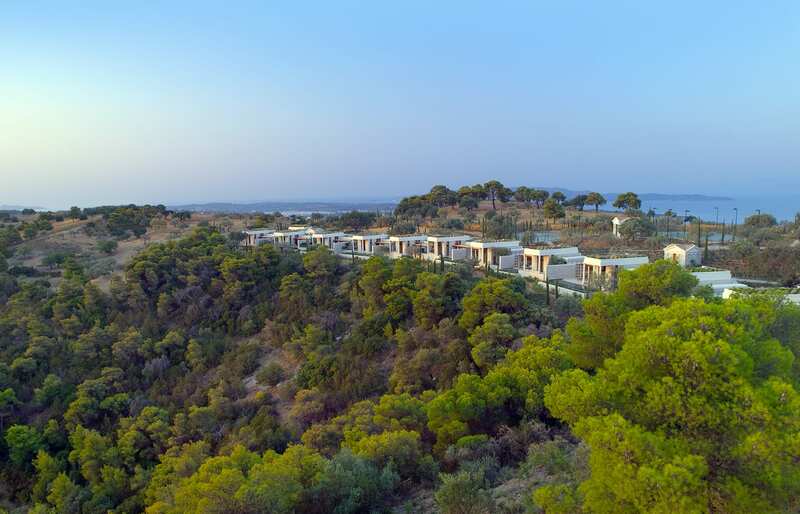 The resort is located rather far from the Athens airport: it's a 3-hour drive… or 30 minutes by helicopter, which lands directly on the resort grounds. it's a fab way to arrive, for sure. The beach is some 6km away from the main resort by road. 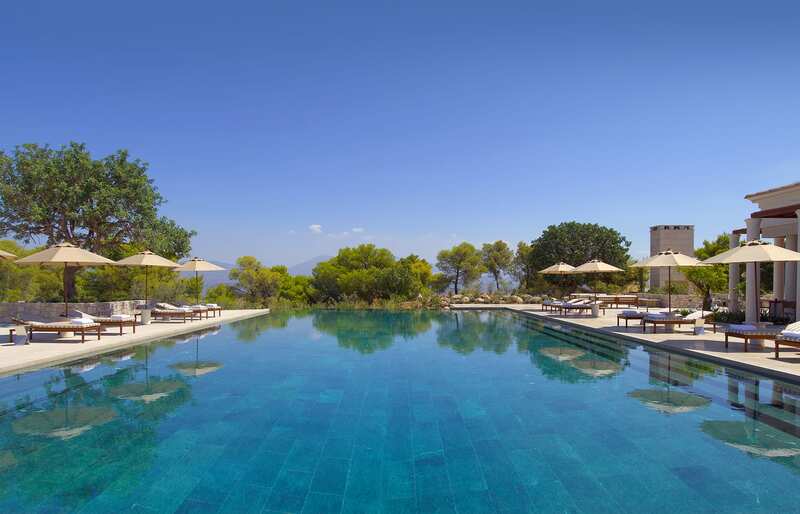 There are complimentary Mercedes SUVs on call to drive there (you can also cycle), but it does make enough difference to advise: if you are looking in Greece for a true beach resort, Amanzoe may not end up on top of your must-visit list. Interestingly, the resort also has set up few Beach Cabanas, kind of pool villas placed directly on the beach, which guests can hire for a night or two. 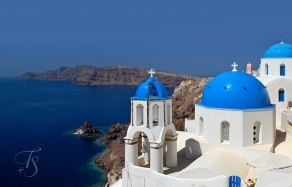 If you can force yourself to leave the resort, make sure to visit the Spetses or Hydra islands, either to see the millennia-old sites of amphitheatres and Byzantine monasteries—or just to experience the plain old island living.